The SFL was once the league of the highest level in the Scottish history of football. The league had had a long tradition originating from 1890. The league dropped to feature levels 2 and four after the Scottish Premier League was founded in 1998. The SPL would not last long, and again in 2013, the leagues were merged into the Scottish Professional Football League which now features the crème de la crème of Scottish football. The SFL accounted for the Scottish Challenge Cup and the Scottish League Cup. Scottish football on a professional level started developing from 1873 when the Scottish Football Association (SFA) was formed. The first years were based on friendly matches. Still, the football trend of professionalism in England reflected also on the Scots who were losing players because they would leave to play for England clubs which offered better salaries. Scottish clubs started t think about forming their own league, and the idea was supported by the majority of the clubs except for the amateur clubs Clyde and Queen’s Park which was one of the oldest clubs. They feared the elimination of smaller clubs. The SFL was officially formed in spring of 1890, but only a decade later the league would lose six of the founding clubs. The first season featured 11 clubs. The SFL was working very well, and in 1893 a Second Divison was introduced encompassing mostly clubs from the Scottish Football Alliance. Clubs could not get automatically promoted until 1922 but relied on the ballot system. In 1923, yet a Third Division was added to the SFL concept, drawing players from the Western Football League, but yet, a Third Division was too much of a financial burden and dissolved after three years. Not until the post-WWII period, would Scotland re-introduce the Third Division. The post-war period saw the league remained the division into A, B, and C. The C division was then further split into North-West and South-East. And again, the league was reduced to two divisions in the early 1950’s, whereby C Division clubs, the top five, were promoted to the B Division, which resulted in 18 teams in Division A, and 19 in B. The letters were soon dropped, and they returned to the original names of Division 1 and 2. In 1975, the SFL opted again to introduce the third division and decided on the following set-up: the Premier Division (former 1st Division), First Division (former 2nd), and the 2nd Division (newly added). The Scots would retain this division arrangement for the next 19 years. From 1994, the league introduced another division, each having ten clubs. The Premier Division decided to form a league of its own in 1998 called the Scottish Premier League. The premier division decided to take the step because they did not want to share revenues with other divisions. Before the split, each division would get allocated the same amount of money. The only condition the new league accepted was to extend from 10 to 12 clubs, whereby the SFL accepted two new clubs to replace the missing two. Ten years later, in 2005, the SFL introduced the relegation and promotion system between divisions which was based on playoffs. The structure enabled the fourth-ranked clubs of each division to be promoted, giving them an advantage over clubs ranked higher in the same division. 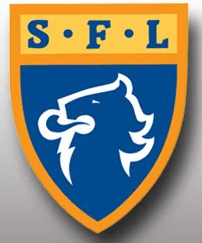 The SFL came into focus again in 2007 when a report found that the league was spending too much money. Namely, the expenditures were three times higher than of fellow English leagues. The setup of the league was inefficient with too many employees. A total of 14 people was simply too much to take care of just 30 clubs according to the report. The SFL had already struggled with financial troubles for a significant period whereby a number of clubs had to leave the league due to bankruptcy. Also, the SFL clubs wanted a bigger share of media revenues that the SPL clubs enjoyed. The merger of the two leagues was based on voting, whereby both leagues agreed to the merger retaining the divisions and clubs they already had when they formed the Scottish Professional Football League. The only thing that changed was the distribution of revenues. The SPFL was an endeavor not favored by everyone, and many critics believed that it would further deviate from defining Scottish football. The SPFL is owned by its 42 member clubs which are the league’s shareholders. Decisions on contracts and modification of rules are conducted via voting. The league is managed by a board consisting of 8 members. The first two seasons took place without major sponsorship deals, but in 2015, bookmaker Landbrooks and the league signed a 2-year contract.